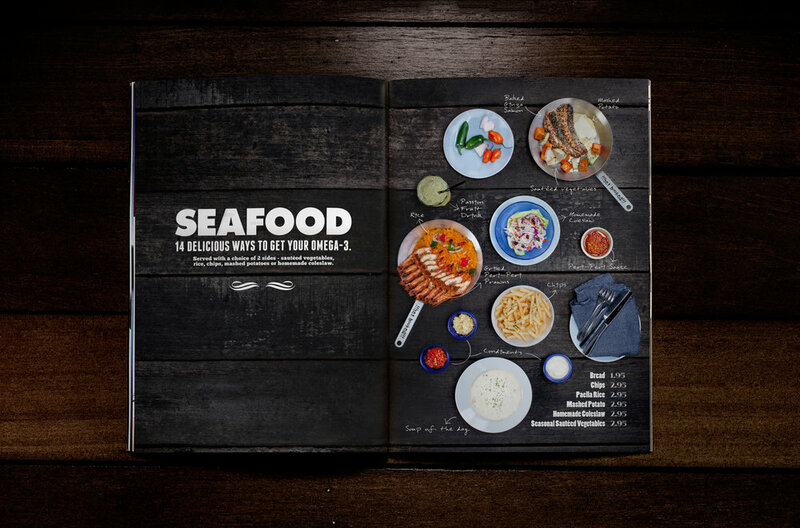 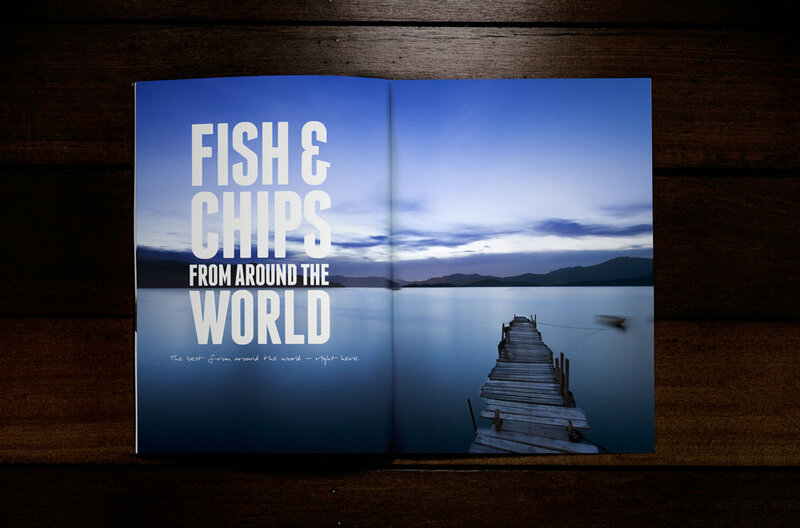 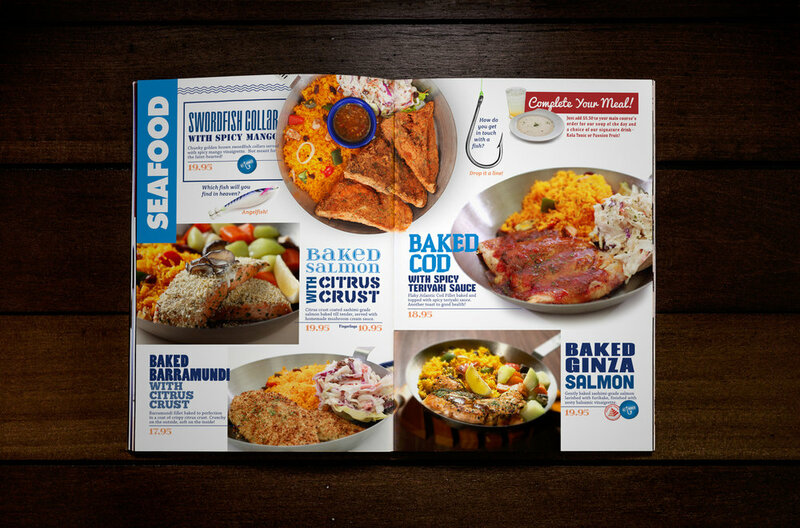 This Fish and Co. menu showcases the restaurant’s food through tantalising photos and merry typography. 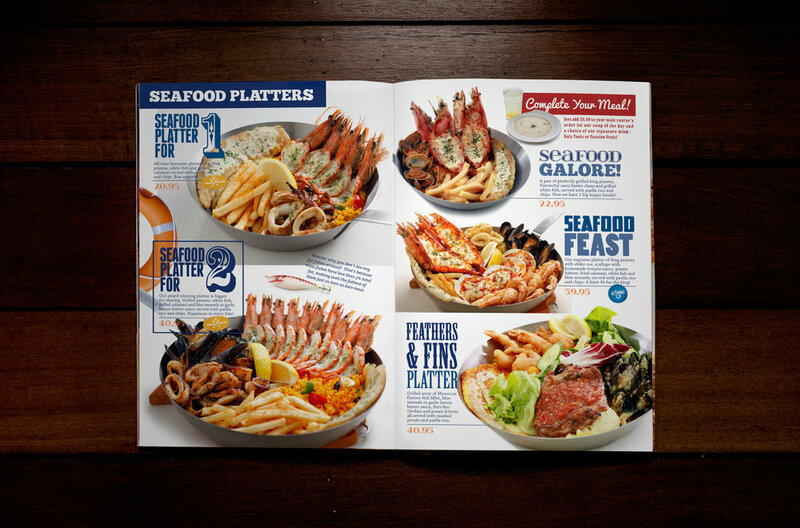 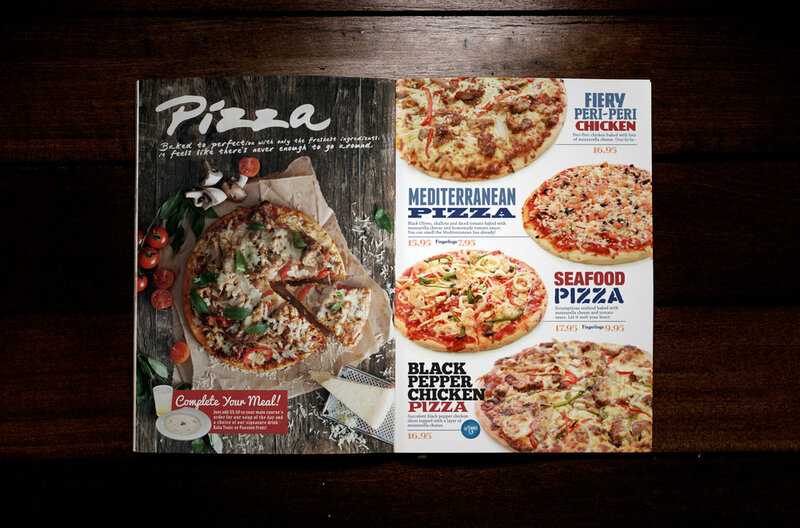 The cover echoes the sentiment of the playful magazine-style cover headlines and sets the tone for each spread inside setting a lively mood and preparing customers for a mouthwatering meal. 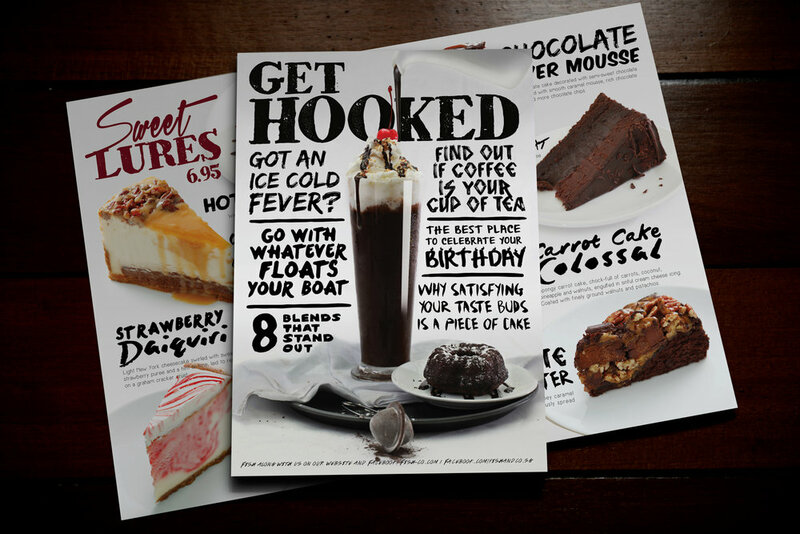 This 100+ fonts project was completed at Goodfellas.